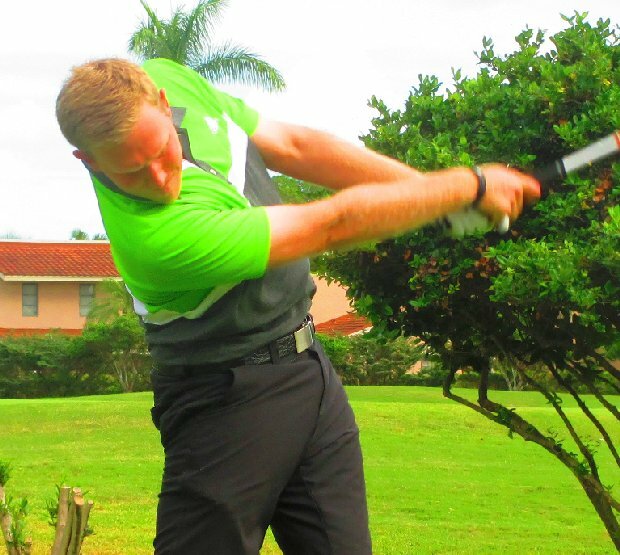 PLANTATION, Fla. – Kenny Leech of Boca Raton sank a 40-foot birdie putt on the first extra hole Monday on the East course at Jacaranda Golf Club to claim his first victory on the Golfslinger.com Tour. After they tied at three under par 68, Leech beat out a couple of the Tour’s “heavyweights,” Justin Peters of Stuart, who is one off the Golfslinger record with 36 career wins, and Nick Thompson of nearby Coral Springs, who earned nearly $1 million on the PGA Tour this year. After Leech birdied, Peters missed a 15 footer to tie and extend the playoff. Thompson who had finished an hour and a half before Leech made his overtime birdie, had left the area and was not available for the playoff. In regulation, Leech made four birdies and a bogey. He earned $800 from the $4,657 purse. Peters and Thompson each had five birdies and two bogeys, receiving $587.50 apiece. Thompson was 87th on the PGA Tour money list this year with $959,434. 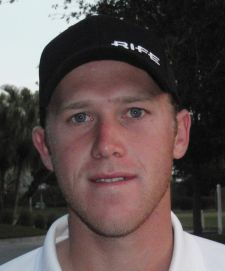 He won a tune-up event on the Golfslinger Tour in January, 2011, prior to the start of the PGA Tour season. Golfslinger’s 112th tournament of the year drew 37 players. 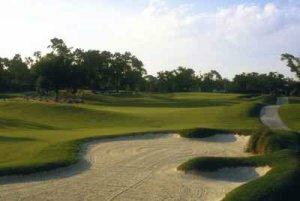 The schedule for the rest of the month: Tuesday, Ironhorse CC, West Palm Beach; Thursday, Martin Downs CC, Palm City; Nov, 25, TPC Eagle Trace, Coral Springs; and Nov. 26, Links @ Madison Green, Royal Palm Beach.